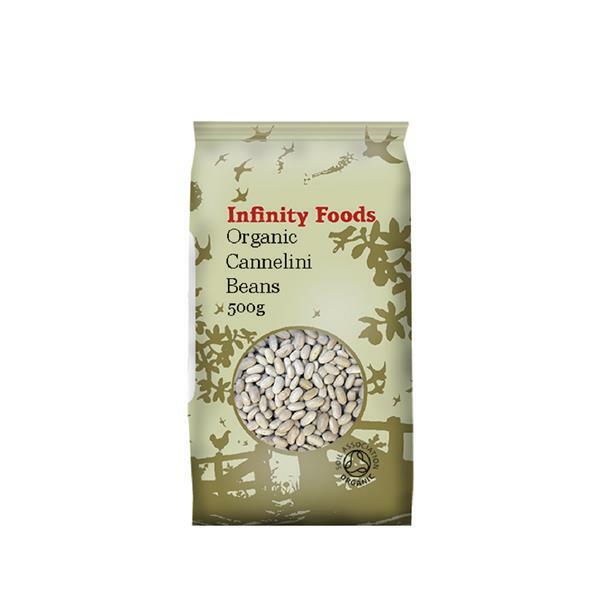 Cannellini beans originate from Italy and are creamy white in colour with a similar shape to kidney beans. When cooked, they have a fluffy texture with a slightly nutty, mild flavour. If your order value is €30 or more, it qualifies for free delivery to any destination in the Republic of Ireland and Northern Ireland (subject to a max weight of 25kg). Orders of values less than €30 will incur a standard delivery charge of €4.99. We use a courier company for all deliveries and a signature will be required on delivery. Standard delivery charge of €10.00. All orders will be sent by courier or by registered post with An Post (Irish postal service) and a signature will be required on delivery. If you wish to order from outside of Ireland and the UK, please contact us at onlinesales@nourish.ie and a member of our customer service team will contact you to advise. We will dispatch your order within 1-2 working days of receipt of your order, providing all items are in stock. In the unlikely event that the item you ordered is not in stock, we will contact you and let you know the expected delivery date. If you decide not to persist with your order, we will cancel the order and issue a full refund. Feel free to query your order at any stage by contacting us at onlinesales@nourish.ie. Please note that we do not presently deliver outside Europe.